The tCheck is a cellphone-sized device that can give total cannabinoids by volume in under a minute. 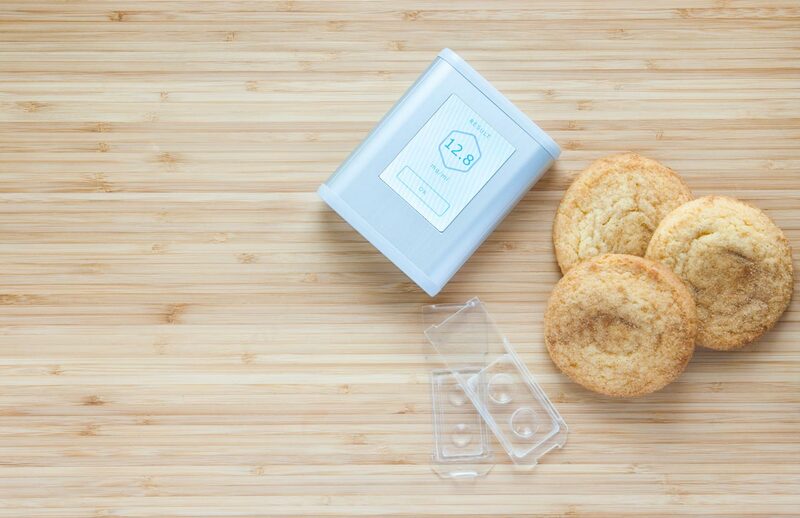 No more overpowering batches of cookies. The natural therapeutic effects of cannabis help to heal both the body and mind. It is an amazing plant with the most potent homeopathic medicine on the planet, but with any medicine, dosage is important. While the therapeutic index of cannabis is one of the safest of any known, and there is no danger of a fatal overdose, it is still far too easy to improperly medicate. For long lasting relief through the day, the best way to absorb the medicine is through edibles, but especially for those making their own at home, slight variations in preparation can mean the difference between a functional, productive day, and one stuck sitting on the couch. The absorption of cannabis through edibles is far different than through vapor inhalation. It is far healthier than smoke. The canna-oil or cannabutter used causes gradual absorption through the stomach. Because our bodies break down food over several hours, we get longer lasting relief. The lipids and fats in the oil or butter allow our bodies to better absorb the medicine, giving a stronger effect than smoke or vapor. Whether treating pain or an illness, we want the relief to be strong, and lasting. There is one drawback to using edibles. A patient cannot tell if they have taken the right dosage for their condition until 1/2 hour to an hour after ingestion, because the medicine takes longer to reach the brain. This has caused several incidence of alarmed first-time medical users, who experienced the unpleasant effects of improper dosing. One of the biggest problems in the industry right now is the inaccuracy of dosage labeling. They are also rather expensive, especially if needed on a regular basis. The only way to get reliable dosing that is affordable is to make edibles at home. If you are making canna-oil or cannabutter infused recipes for yourself or a loved one at home, the responsibility for proper dosage falls squarely on your shoulders. As home chefs, we can’t afford to take every batch to a laboratory to be tested. More often than not, we are stuck making large batches, and adjusting dosage by trial and error. Without testing, how do we know that we are getting the right therapeutic level of cannabinoids? We can use the same prep methods each time to make our canna-oil, but each plant has a different potency. How do we standardize our edible strength? At least the commercial makers have access to testing equipment. For all of us do-it-yourselfers who want the pride of taking control of our own health and the health of our loved ones, there is finally an answer. 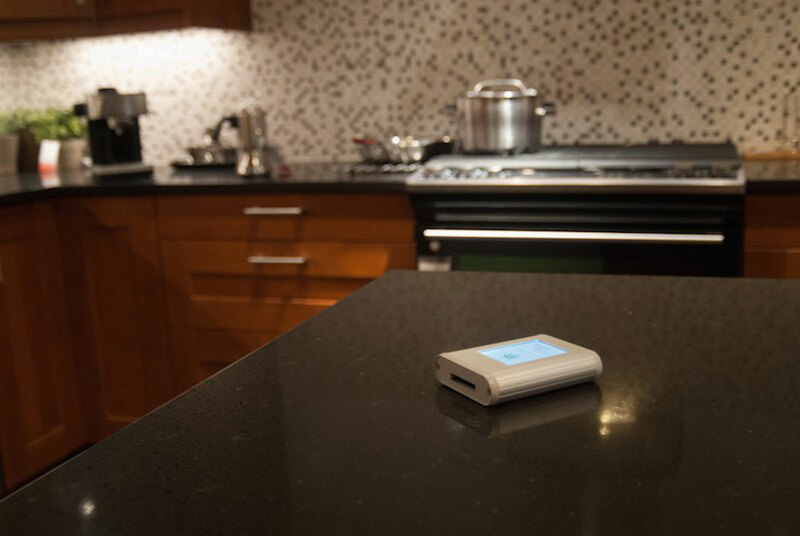 Engineered Medical Technologies has kept the home-healers in mind by creating a device for testing the potency of canna-oils right in our kitchens! 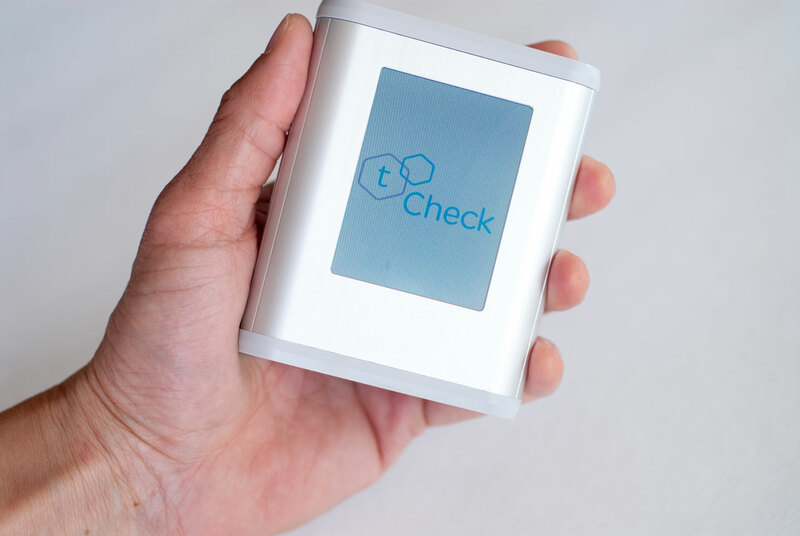 The tCheck is a cellphone-sized device that can give total cannabinoids by volume in under a minute. No more guessing. No more overpowering batches of cookies. Using only a few drops of infused oil and base un-infused oil, the tCheck will be able to measure the strength of the oil. 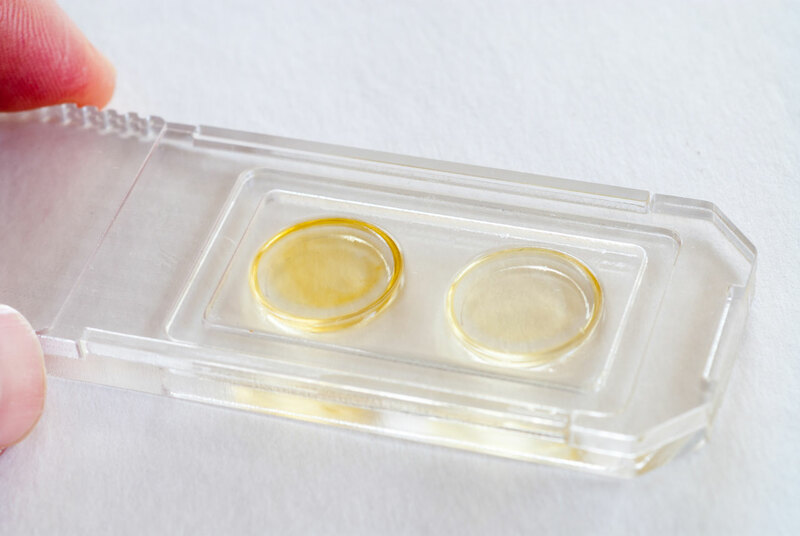 The result will be shown in terms of total cannabinoids by volume (mg/ml). There is even an online calculator, so you can adjust your recipes to get exactly the dose you want, without juggling the numbers yourself. Now you can feel confident that when you create edibles at home, you are doing them right, every time. Quality, consistency, and affordability are back under our control. Now the only thing left to worry about is leaving them in the oven too long. Do you make your own edibles? Do you have a recipe that tastes better than the commercial stuff from dispensaries? Share it with us on social media or in the comments below.